On arrival at the end of the public road, memories flooded back of my last visit to this area. That was in August 2000. 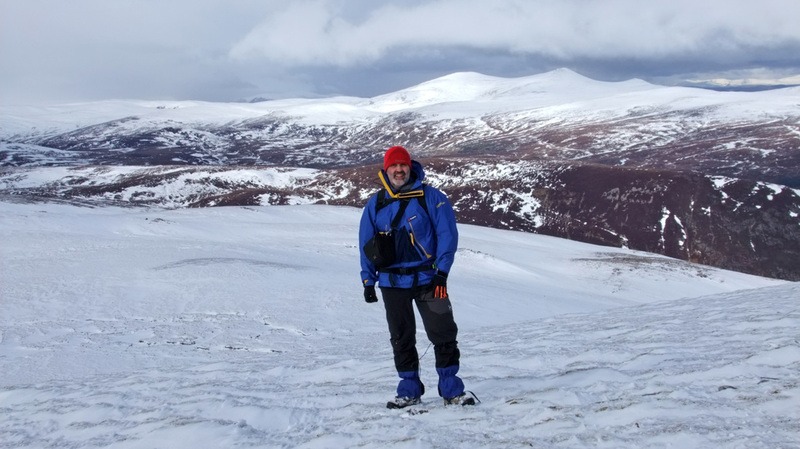 I had hired a bike (from square Wheels in Strathpeffer) to cycle up the side of Loch Glass before heading up to bag the Ben Wyvis tops of Fiaclach and Glas Leathad Beag before heading for the main summit. The bolts holding the handle bars came loose so that the handle bars twisted and slid through making it very difficult to control the bike. The shop did not give me any tools so I tried, with some success, to use a small angular stone to tighten the bolts. However, I could not tighten things enough and things soon came loose again. This meant that it took a lot longer to cycle back to the car. The SMC guide to the Grahams and Donalds suggests going through the white gates across the River Glass and following the track northwestwards, crossing back to the other side across a concrete bridge, but I walked back along the road for about 200m and accessed the forest track where there are four gates. Then headed left at the T junction seen in the photograph right. 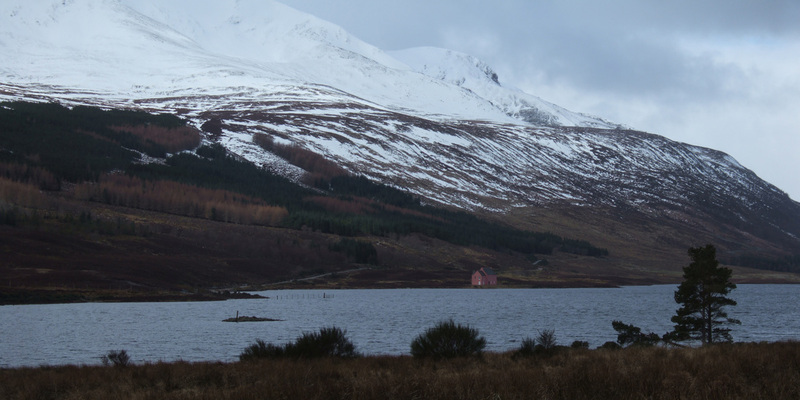 After about a mile, there is a clearing and one sees Loch Glass for the first time with the backdrop of Glas Leathad Beag. This is surely one of Scotland's finest lochs. Being a natural loch, there is no ugly scum line around the edge. 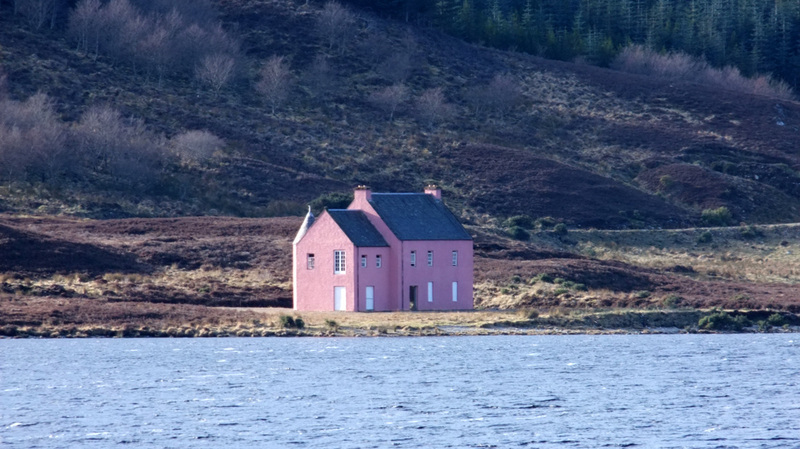 There is a curious pink lodge on the far bank. 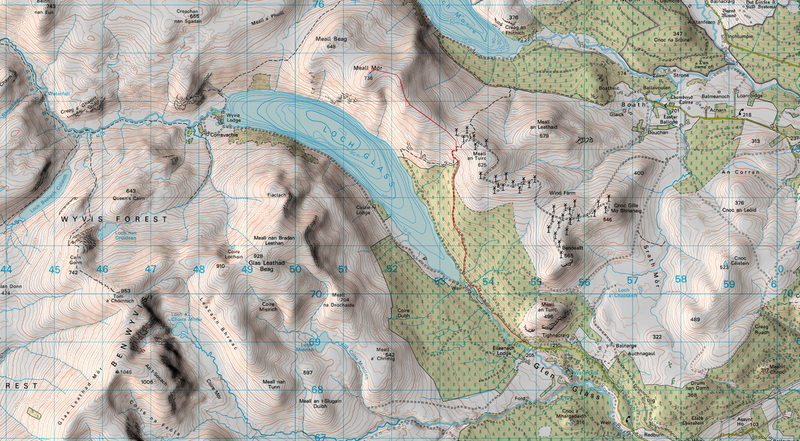 The route heads diagonally up right along a lesser track. This was wet underfoot but the gradient was about right for gaining height without being too strenuous. As I gained height, I began to hear the wind turbines up above. 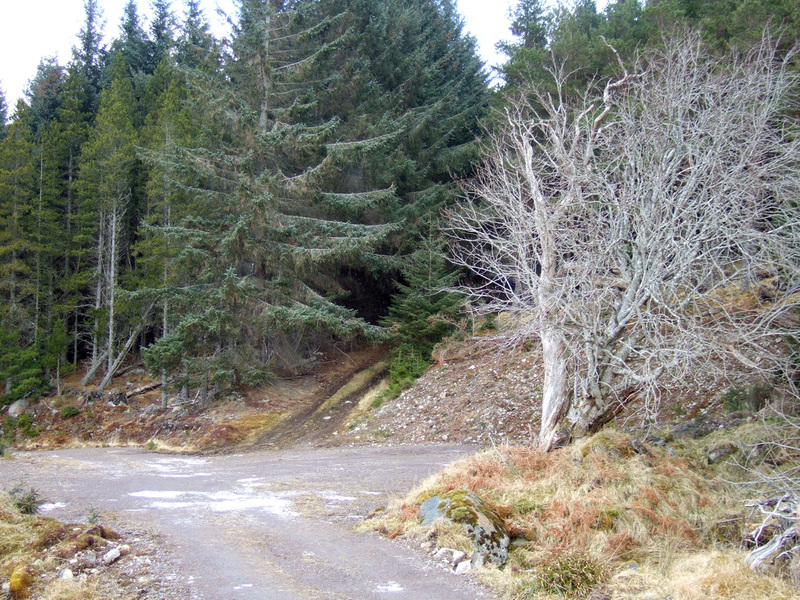 Eventually, the track clears the forest plantations, giving fine views along much of the length of Loch Glas. The track dips a little before joining another track. When the track met a fence, I headed up left to join the dip in the ridge north-west of the Novar wind farm. 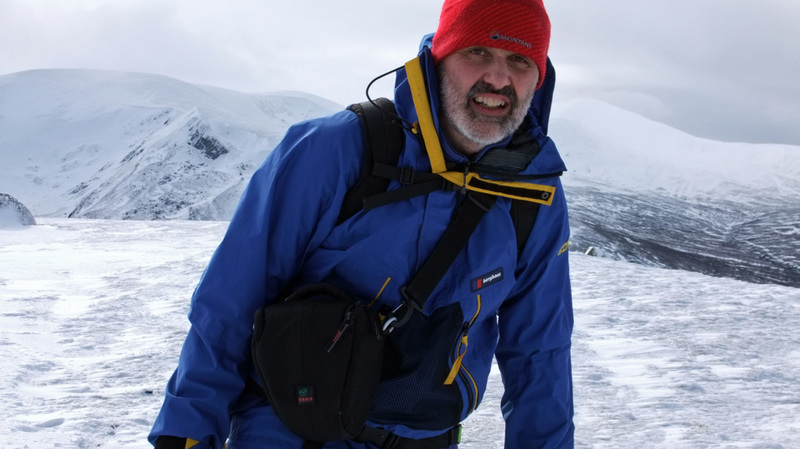 Once on the ridge, there was a certain amount of peat hag to negotiate, but being frozen made progress relatively easy. 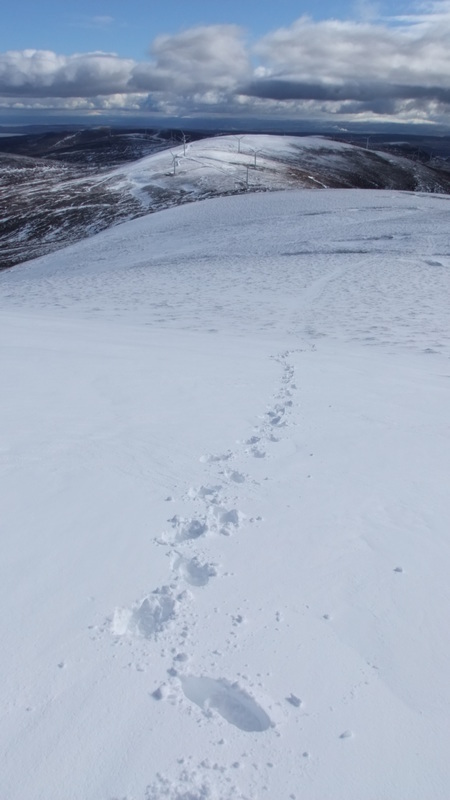 There was a faint track for much of the way though it disappeared where there was peat hag or deeper snow. I always enjoy treading across pristine snow and the lack of footprints gives the feeling of being the first, even if many have trod there before. In some sections, the snow was soft and knee deep. In the photograph immediately above, the twin peaked hill in the background is one of my favourite Corbetts, Carn Chuinneag. I was only wearing thin running gloves and was too lazy to change them for one of the two warm pairs in my pack, so I headed back down. My hands soon warmed up, once on the move again. I thought that I would enjoy a feast of Jaffa cakes once back on the main track heading off into the forest. On arrival back down in the glen, I zoomed in on the pink lodge. It looked like someone had opened the windows to give the place an airing. I thought about how it would be an interesting place to stay, especially with a boat and fishing rods. From here it was an easy walk back to the car. 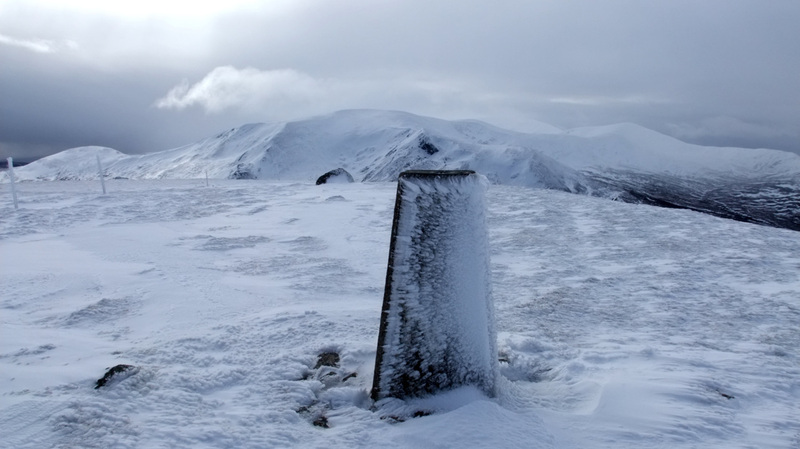 Meall Mor provided a reasonably easy and short day, clear of cloud while (I'm told) the Fannichs were covered in mist with blizzard conditions. Not my greatest day on the hill, but a good choice on the day!